Designed to mark the 75th anniversary of the founding of the company by Frank Perkins and Charles Chapman, this book charts the growth of the business from the humblest of beginnings to a position of global leadership in the supply of high-speed industrial power. 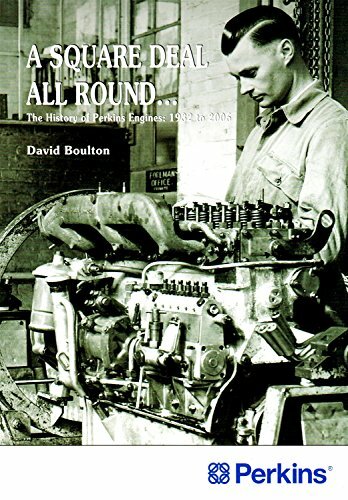 Perkins Engines has commissioned this book to mark the 75th anniversary of the founding of the company by Frank Perkins and Charles Chapman. It charts the growth of the business from the humblest of beginnings to a position of global leadership in the supply of high-speed industrial power. The company, now part of Caterpillar Inc, enjoys a level of success that even an entrepreneurial business man and an engineering genius could not have anticipated all those years ago.